Dish announced a $25.5 billion bid for Sprint early Monday. Satellite TV provider Dish Network on Monday announced a $25.5 billion bid for Sprint Nextel. The offer is an attempt to top another bid for Sprint: $20.1 billion for a 70% stake from Japanese tech company Softbank (SFTBF). 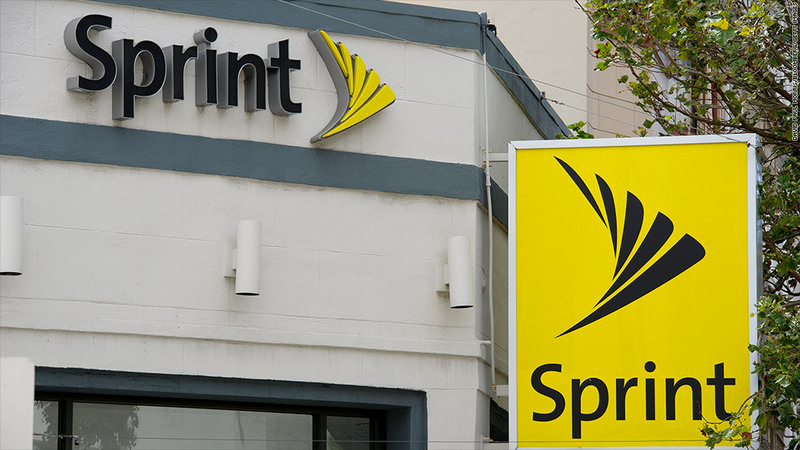 That offer, which Sprint accepted in October, was intended to give Sprint a much needed cash infusion to stave off a possible bankruptcy. Sprint (S) acknowledged the unsolicited bid and said its board would study the offer, but had no further comment. Its shares shot up nearly 24% in afternoon trading while and Dish shares slipped 3%. Dish Chairman Charlie Ergen said the combination would create a company that offers customers the greatest possible bandwidth for video and other data. He said while cable companies do a good job providing bandwidth inside homes and wireless companies provide bandwidth outside of homes, no company allows for the efficient combination of that bandwidth. "The pipes are fairly clogged," Ergen said. "If you're going to have a lot of data, you better have a big pipe -- no one is going to have a bigger pipe than Dish Sprint." The bid for Sprint would also give Dish another coveted target, wireless broadband provider Clearwire (CLWR). Dish had a brief bidding war earlier this year with Sprint for Clearwire, but Clearwire decided to accept Sprint's offer. Sprint already owned a 50% stake in Clearwire before the bidding war began. Dish said its bid for Sprint represents a 13% premium over the Softbank offer. Ergen said Dish would also be "more than willing to spend" an additional $600 million to pay the breakup fee that Softbank is due if that deal falls through because of Dish's offer. Analyst Amy Yong of MacQuarie Research said that there are many questions about Dish's plans for Sprint that make it difficult to judge who will be the winning bidder. The wireless sector has been going through a number of deals in recent years, and Dish has reportedly been interested in finding a partner in the sector. "Charlie's a poker player by trade," Yong said of Dish Chairman Charlie Ergen. "This might just be his way of getting all the other wireless companies talking with him."